August 26, 2016 – Presenting our Day 1 Review of Assetto Corsa on the PS4 and Xbox One. Today has been a long time coming for the small Italian developer, Kunos Simulazioni, with the official release of Assetto Corsa on the PS4 and Xbox One in Europe. While we doubt the goal back in early 2014 was to get a niche Steam Early Access sim racing title to the consoles, here we are today, deciding if Assetto Corsa is worth your hard earned time and money. 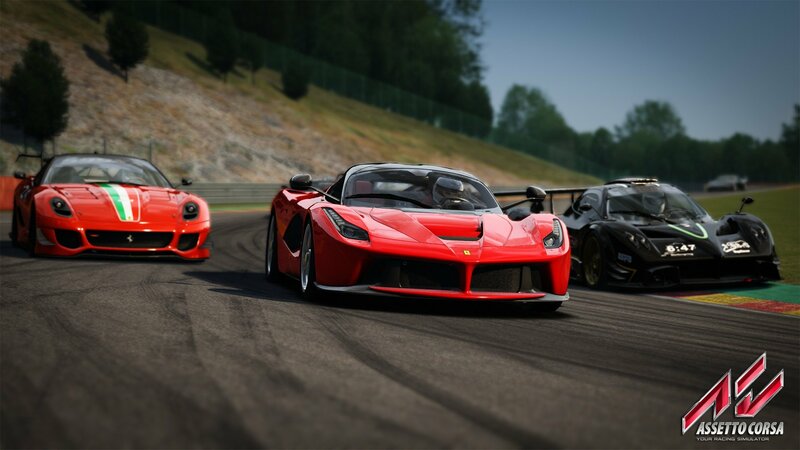 Assetto Corsa on the PlayStation 4 and Xbox One doesn’t necessarily reinvent the wheel for the franchise. Besides new menus, and some nip and tucks here and there, the console version is in-line with the massive development that the PC version has undergone over the past couple of years. The question becomes, is that a good thing? Does the console market want what the PC is selling? Are the minor differences an improvement or a hindrance? That’s what we aim to answer. Be on the lookout for more Assetto Corsa PS4 and Xbox One videos from us, including a wheel setup guide and more Test Drives like this one.